We had an unexpected surprise today that made us feel really good. 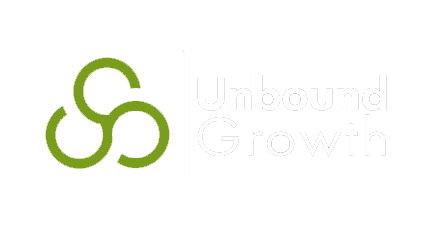 About six weeks ago, we decided to invest what we would consider 'not a small amount' of money in ourselves and our business by hiring Unbound Growth for sales coaching. During this time, they’ve given us some great insight into sales itself, as well as our personal preconceptions about sales. Today however, we had a real “result” from their coaching. As a bit of background, one of our personal challenges has been in getting deals closed in a timely manner. We meet with our prospects many times before agreeing on what is the right solution for them. Once we all agree that we know what that solution should be, sometimes the client drags their feet in signing the agreement so we can move forward and start working together. we don’t like to waste our time or our client’s budget with having to follow up on everything we ask them - we feel like if they already agreed, they should do their part in getting us what we need to get going. How do you get the deal done, which the client wanted done, in a timely manner when the client isn’t getting the agreement back to you? But the message that keeps getting repeated, is that it doesn’t matter what we think or what frustrates us. What matters is what the client thinks and wants. So last week we had a big meeting with a client which resulted in them actually asking for more services from us than we had originally proposed. They were totally on board and excited about how inbound marketing was going to impact their business. We were excited, they were enthusiastic, it was great! Until we sent them the agreement, and heard nothing back. We didn’t know what to do. Do we just wait? But that sends the message that there isn’t urgency in what we’re doing, which is not the case. Do we follow up and remind them that we can’t start until we have the agreement signed? We weren’t sure what to do. Fortunately for us, we had a coaching call that day. One other thing we’ve learned from them is that you can never ask too many questions. So per the advice, we emailed the client and said; "As we haven’t received the signed agreement from you, should we assume you’ve decided to move in another direction?” First thing the next morning, we received the signed agreement by email. Talk about results!